MMP is a proportional electoral system that consists of both First Past The Post (FPTP) and Proportional Representation (PR). MMP is currently used in many countries including Germany, New Zealand, Scotland and Wales. A ballot will either have one or two votes. 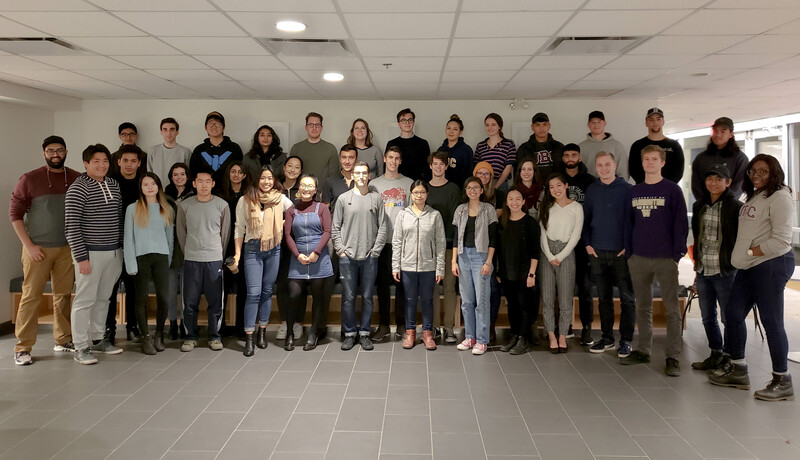 In a two vote system, there will be an open party list ballot; one vote will choose a District MLA, while the second vote will choose from a list of regional MLAs representing different parties. In a single vote ballot system, the vote will go towards a candidate as well as that candidate’s party. This vote will go towards both District and Regional MLAs. Under MMP, local ridings increase in size and are reduced in number. On top of local ridings, there are a few large regional districts which encompass several local ridings. The exact number of local ridings and regional districts will be decided after the referendum. District MLAs are elected based on the current winner-takes-all system where the candidate with the most votes wins the seat for their district. Regional MLAs are elected based on the popular vote. This means that the regional candidates who received the most votes are elected to represent their region. Regional MLAs are essentially ‘topped-up’ to ensure proportional representation. If a party has no district seat, they must have 5% of the popular vote to get a top-up regional seat. If MMP is chosen as the prefered voting system in the referendum, there will be fewer, larger electoral districts to accommodate for Regional MLAs. An independent electoral boundaries commision will determine where these new districts will be, and which ones will make up larger regions. A similar committee will determine whether a one vote system or a two vote system will be implemented. The Legislative Assembly will either stay the same size or increase by only a few seats to accommodate for the new electoral system. 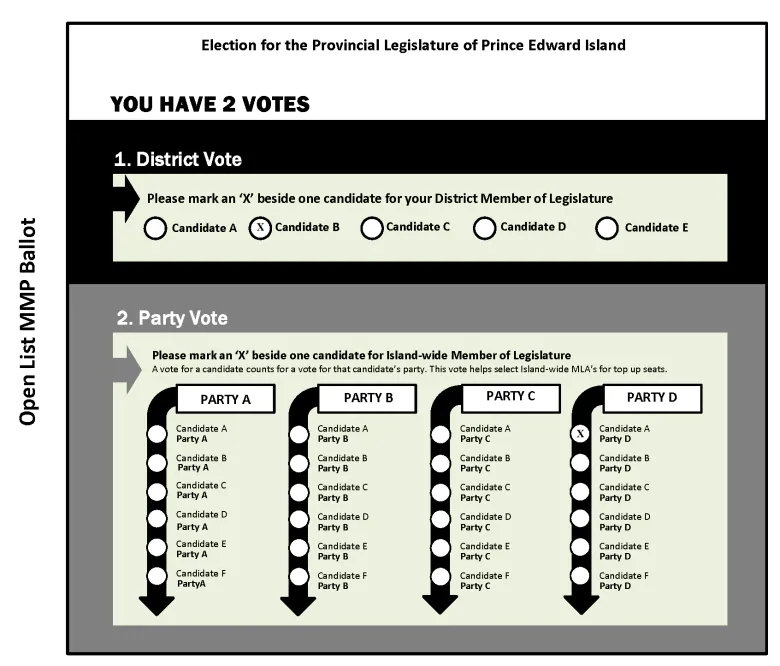 This is a sample ballot prepared for the PEI electoral reform referendum. This is the form that our BC ballots would take with an open-list Mixed Member Proportional system. The only difference is that where the PEI ballot says "Island-wide Member", the BC ballot would say "Regional Member". We gathered some common critiques of Mixed Member Proportional and the other voting systems included in this referendum. For a more in-depth analysis of the pros and cons of each system, we have analyzed how the systems have been used in countries around the world.